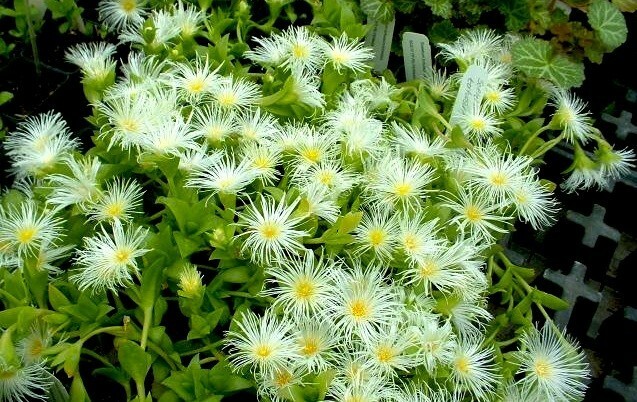 A psychoactive herb native to Southern Africa, Kanna (Sceletium tortuosum) has a long use history reported to possess mood enhancing, appetite suppressing and emphatogenic properties. When taken in conjunction with psychoactives, it can amplify the effects, and because it is a Selective Serotonin Re-uptake Inhibitor (SSRI- a class designation for antidepressants that increase the serotonin levels in the brain), it shouldn’t be taken with other SSRIs. In prehistoric times (earliest Kanna herb use recorded in 1662), S. tortuosum has been used by hunters and shepherds as a mood-altering substance. It is known to decrease anxiety, tension and stress and enhance mood. Apart from such, Kanna, in intoxicating doses, can cause immediate euphoria and sedation later on. Even so, there were no reports on adverse effects it caused users. Its main active component, mesembrine, is a type of alkaloid that researchers have discovered to treat anxiety symptoms. And as understood by the patent office of the United States, as mentioned earlier, it’s an SSRI, meaning it can regulate the effects produced by one of the most important brain neurotransmitters. Here’s how it works. Medicinal mesembrine, when used for Kanna herb depression treatment to patients suffering from lack of 5-hydroxytryptamine (neurotransmitter serotonin), can slow down the re-uptake process to make it possible for more serotonin in the involved receptors, increasing the possibility of achieving enough levels to set up the transferring of signals in surrounding neurons. So in this case, the brain is allowed to work with reduced serotonin levels, while enough time is given for natural levels to establish. Kanna can be administered in four ways (with purpose either for Kanna herbal high or Kanna herb benefits). One, it can be chewed, with effects at peak for one to two hours, varying from mild to heavy (mild, 100-200mg; medium, 200-400mg; strong, 400-600mg; or heavy, 600-1000mg). Second is through insufflations with effects usually within five minutes and with peak for 20 to 60 minutes (mild, 25-50mg; medium, 50-100mg, strong, 100-250mg; or heavy 250-500mg). Third is smoking with effects hitting within seconds, varying in effects on dosage (mild, 50-100mg; medium, 100-250mg; strong, 250-400mg; or heavy, 400-500mg). Fourth is oral route, with varying effects based on dosage (mild, 200-400mg; medium, 400-600mg; strong, 600-1000mg; or heavy, 1000-1200mg). Generally, Kanna effects may or may not include, mild stimulation, muscle relaxation, tingling sensations, sense of well-being, relaxation, empathy and euphoria, among others. Nevertheless, it can be noted, based on above references and evidences, that Kanna is a promising herb known not only for its multitude of benefits in terms of promoting sense of well-being but also in improving someone’s life outlook—making it a more positive, happier one. Before use though, read and learn more about Kanna and ways it could be of help to you. Do you have a personal story about Kanna to share? We’d appreciate if you would write it below or send us your very own review of either Kanna or any herbal highs that you know. Kanna literally means, chewable things. I heard the name of Kanna. But I didn’t know this much about it. Very Informative article.